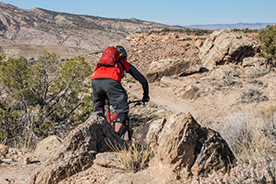 Fruita is an epic mountain bike destination with seemingly endless mountain bike trails. 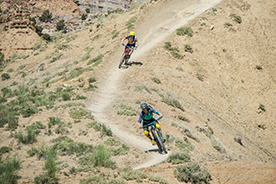 On this trip, you'll ride amazing flowy ridgeline spines, and some of the US' most fun technical trails - Fruita has it all. 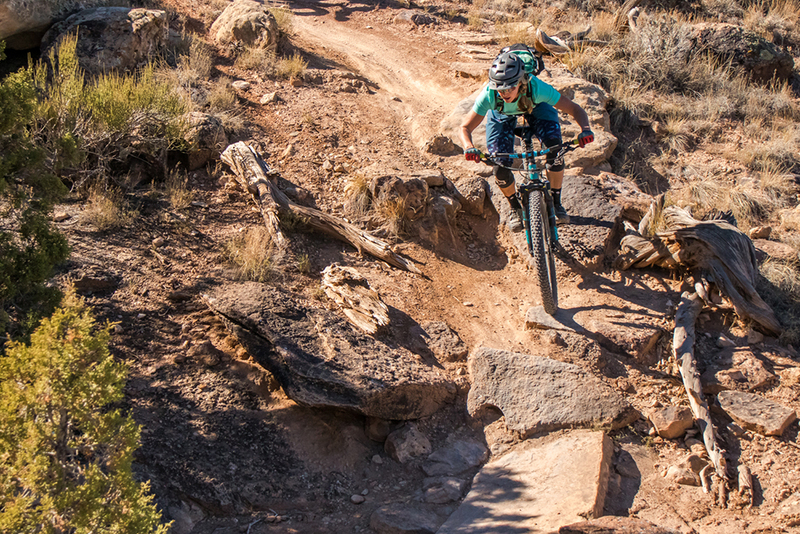 Fruita has always been overshadowed by nearby mountain biking destinations like Moab, but those who know, know - Fruita has riding that is just as good, if not better. 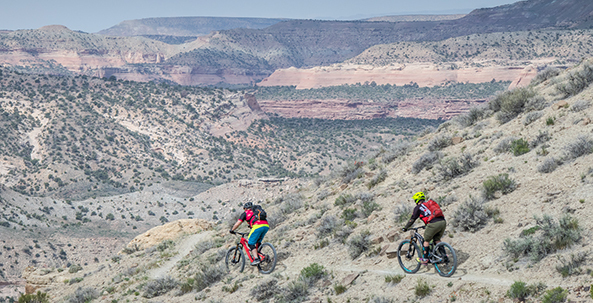 Fruita has more diverse riding than you can shake a stick at, with the main trail areas of Kokopelli/Loma, 18 Road, the Lunch Loops in Grand Junction, and Rabbit Valley offering enough to keep you busy for days on end. 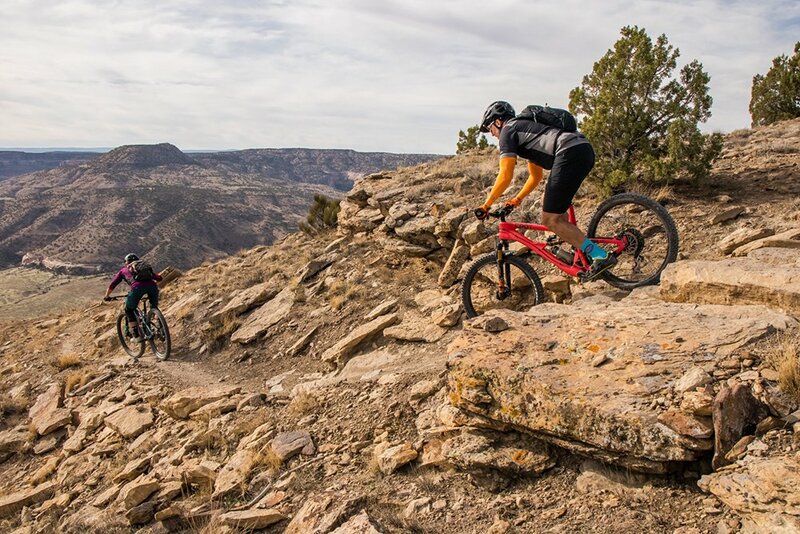 Our guided Fruita mountain bike trip package will help you to explore all of these amazing trails, bringing you to the classics as well as the hidden gems. 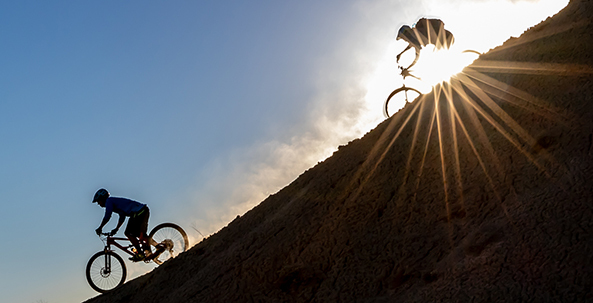 The sleepy town of Fruita caters well to mountain bikers, with not much going on after hours except time to tell riding stories, clean bikes, and get ready for tomorrow’s ride. It’s not unusual to see more bikes than cars on Aspen Avenue, and some of the in-town haunts (Over the Edge, Hot Tomato) are world famous. 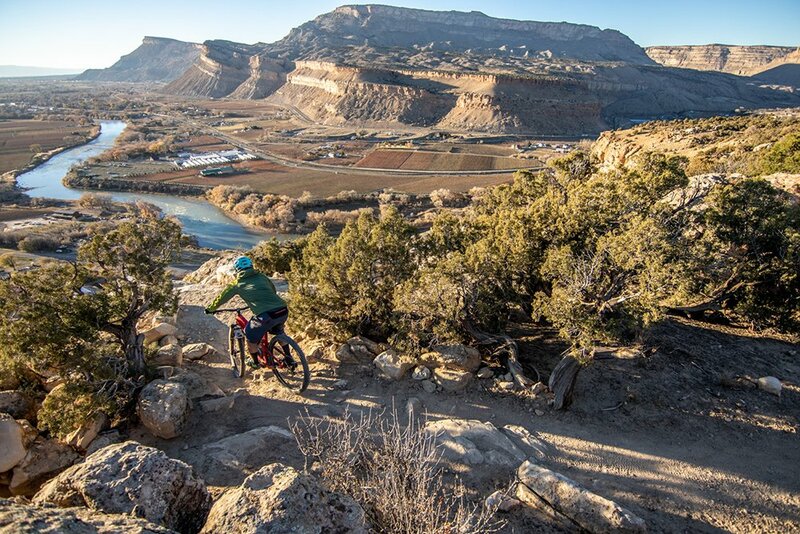 In the spring and fall, Fruita is a must-visit destination. 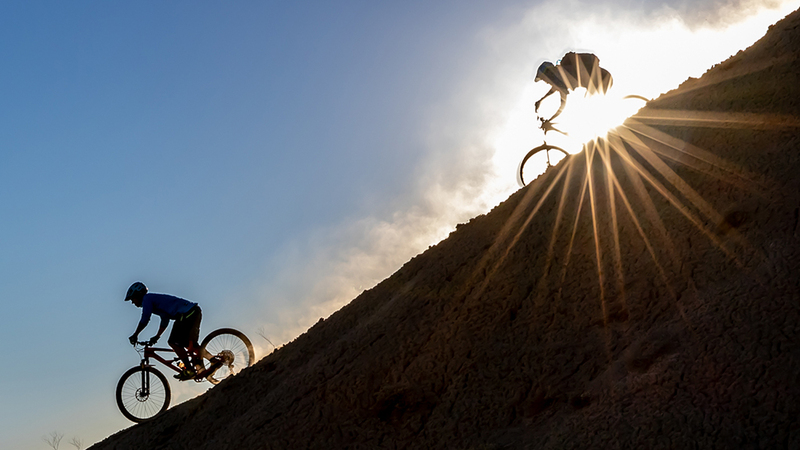 For this trip, we partner with local Fruita mountain bike experts Chasing Epic Mountain Bike Adventures that know the area like the back of their hand, so be prepared to ride the best of the best and then some. For our first day in Fruita, we’ll meet in the afternoon to get checked-in, make introductions, and set the stage for an incredible four days of riding. Our first day of riding will be on the famously fun 18 Road Trails, about 15 minutes north of downtown Fruita. We’ll plan on around 15-18 miles that afternoon before heading back to our lodging for dinner and beer. Today we’re off to Rabbit Valley to ride the Western Rim Trail. 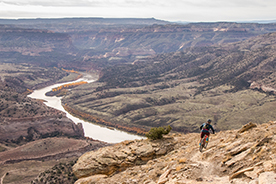 This ride starts on the world-famous Kokopelli Trail (that runs 150+ miles from Fruita to Moab) before splitting off. The Western Rim portion of the trail hugs the top edge of the rim (thus, the name) overlooking the Colorado River, providing spectacular views for miles. The trail itself is also spectacular, with high-desert singletrack that varies from technical rocks to smooth, fast singletrack. Depending on optional add-on routes, expect about 25 miles and 2,000 feet of climbing today. Be sure to eat a whole lot of food for breakfast, because you’ll need it. Today is a big day in the saddle: we’re heading over to the Kokopelli Loops. Our ride today will be a combination of the famous Horsethief Bench Trail, and several other trails in the area, combining for almost 25 miles (with over 2,000 feet of climbing). Expect challenging and fast riding on some of the most fun trails you've ever laid rubber on. All good things must come to an end, and unfortunately today is the last day of our four-day Fruita epic. The last day’s ride takes us to the Lunch Loops in Grand Junction, an easy 15 minute drive from town. Often overlooked for the big-name Fruita trails, the Lunch Loops are just as fun as any trails we’ve ridden in Colorado. Ever hear the phrase “fun tech“? That’s what the Lunch Loops are all about. Our ride today will be about 14 miles with 1,800 feet of climbing, and it’s our favorite way to end a Fruita trip. We’ll be done by early afternoon, plenty of time to catch a flight or make the drive home. Explore the most incredible mountain biking that Colorado and the Western US has to offer with an all-mountain riding adventure. 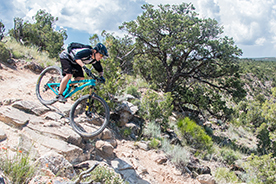 On this guided Fruita mountain bike trip we'll explore several world-class trail areas all within a short drive from town. High-end demo bikes are included in your trip package. If you prefer to bring your own bike, we can offer a $150 discount off your trip - please make sure it's in tip-top shape before you arrive. If you're traveling through Denver, you can stop at the evo Denver bike shop for any last minute needs! As for gear and clothing, Fruita is located in a high desert climate. This means temperatures can range from very warm to very cold, be ready for both extremes on and off the trail. The technical ability: This trip is for those who have been riding consistently for three+ years and consider themselves technically 'advanced’ - in other words, comfortable and confident on mildly technical terrain. We won't be focusing on the hardest trails but instead the best trails. There will be man-made bridges; some you will ride and others you might walk. The beauty of the trip is that you will get to ride with born and bred locals and most days you have the option to add on some trails. 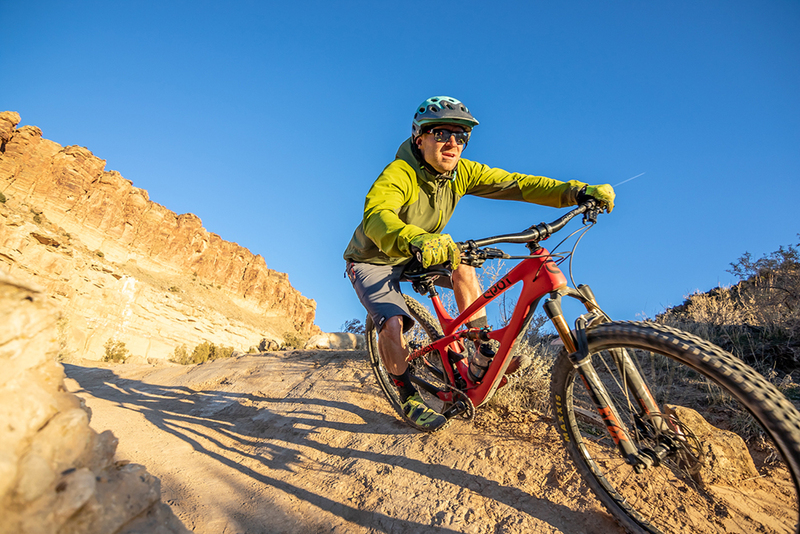 You will be responsible your own airfare for the trip, transfer to / from Fruita, as well as any costs associated with transferring your bicycle, if you opt to bring your own. Travel insurance is also not included, and is highly recommended to cover you if you are forced to cancel your trip, or if you need to cover medical assistance, emergency transport, and/or theft or accidental damage while traveling.